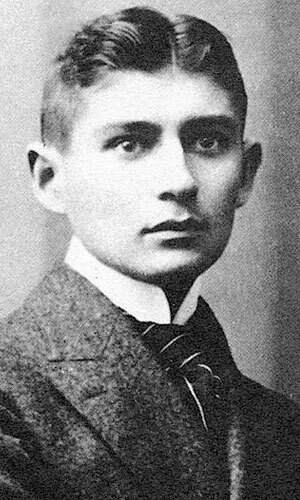 Although Kafka disliked most technology, he did love to go to the cinema. He also had a great fondness for theatre and actors (and particularly actresses), though he does not seem to have written any plays. In the Prague of Kafka’s day, various charities were associated with particular cinemas. When one paid for a ticket, a portion of the price went to the charity associated with the cinema. You could help the hungry, the homeless, people with medical needs. Kafka (being, after all, Kafka) particularly enjoyed attending the theatre for the blind.